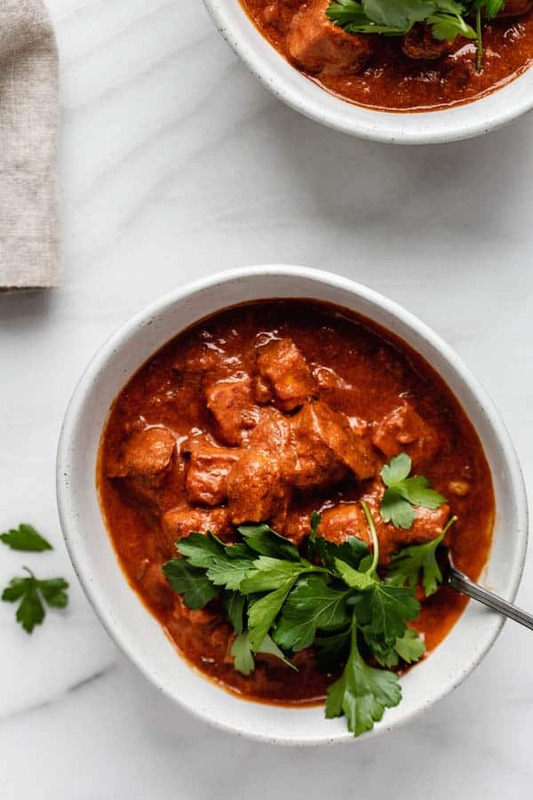 This tofu tikka masala is a healthy vegetarian recipe that is perfect for a weeknight dinner! 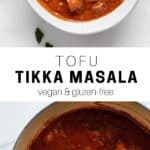 Say it with me: Tofu Tikka Masala! A necessarily recipe for your weeknight dinner rotation in the winter. Is it just me or does it feel like it’s permanently dark out? It feels like the sun sets by the time I’m eating lunch and when 4pm rolls around I’m SO ready for dinnertime. 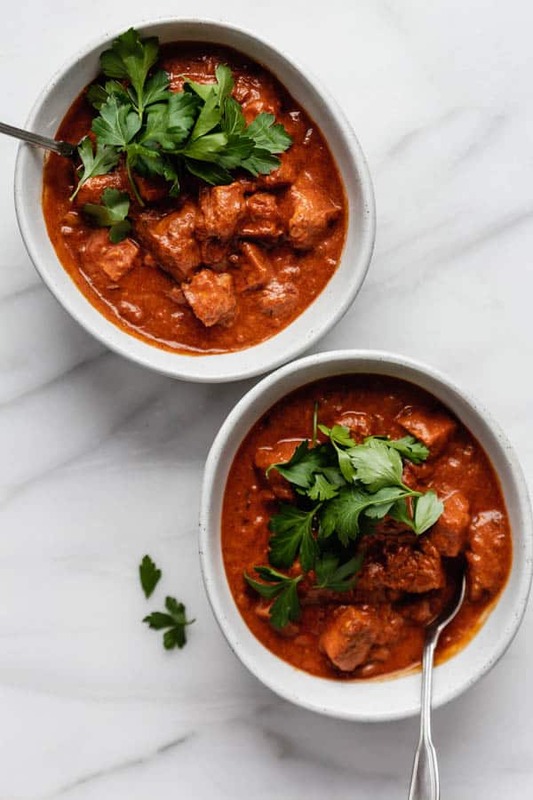 I’ve been coping with the cold weather by eating PLENTYYY of warming winter recipes like West African peanut stew and butternut squash risotto, and now I’m adding this tofu tikka masala to the gang. This is one of those recipes that is filled with so many warming spices that it’s just bound to make you feel warm and cozy inside. I mean how can it not? 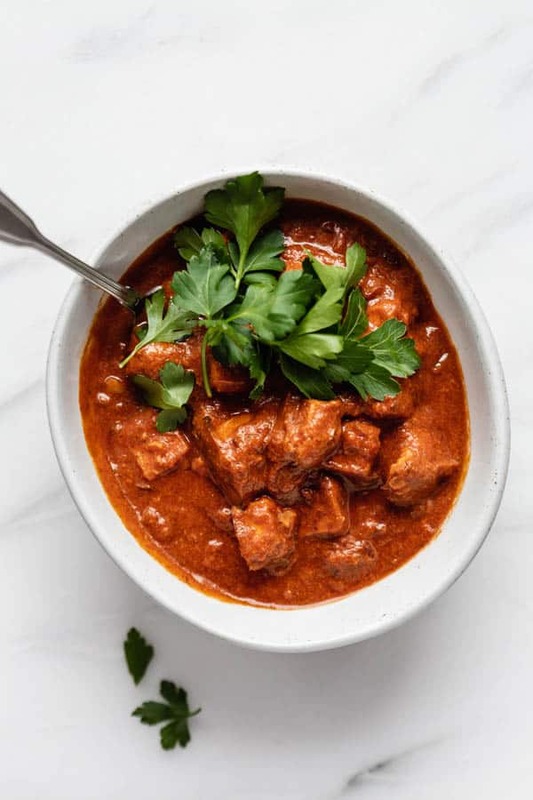 We’ve got garlic, ginger, cumin, garam masala in a creamy tomato sauce with a bit of coconut milk for some extra creamy goodness. 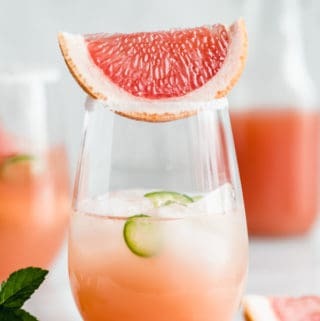 This recipe is pretty simple to make. It starts with some cooked up tofu and then our tikka masala sauce. 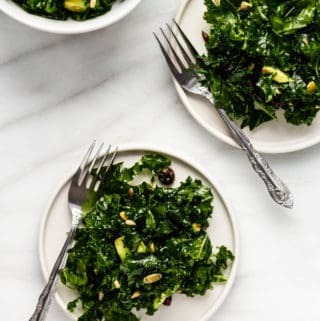 You can (optionally) serve this with a side of basmati rice, or even some quinoa or brown rice if you like! Tikka masala is very much about the sauce. 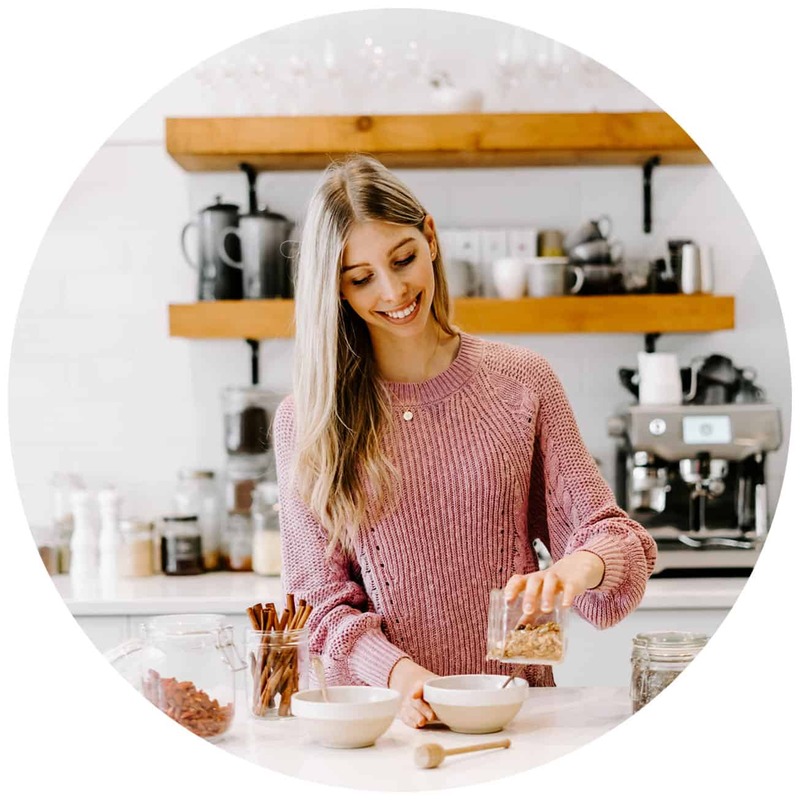 So you’ll want to make sure you have all the right spices on hand to make sauce bursting with flavour. Some more traditional recipes use even more spices than we have listed below, but I prefer to keep things a bit more simple. You’ll want to use firm or extra firm tofu for this recipe. 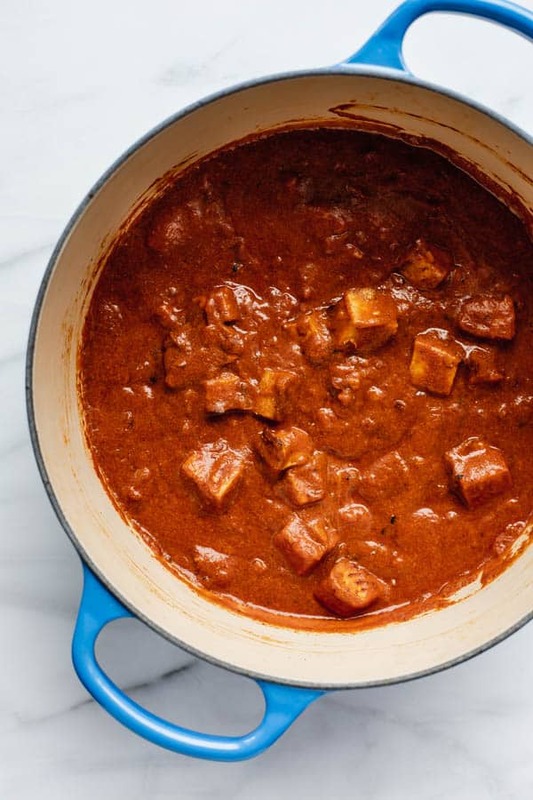 I like to marinade the tofu the night before so it absorbs as much flavour as possible, but if you are marinading the tofu the same day you’d like to cook it make sure you leave the tofu in the marinade for at least 1 hour. Like a hug in a bowl! 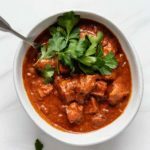 I like to serve this tofu tikka masala over some basmati rice and top it off with some fresh cilantro. 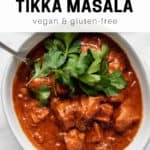 I LOVE tikka masala, or Indian food in general! 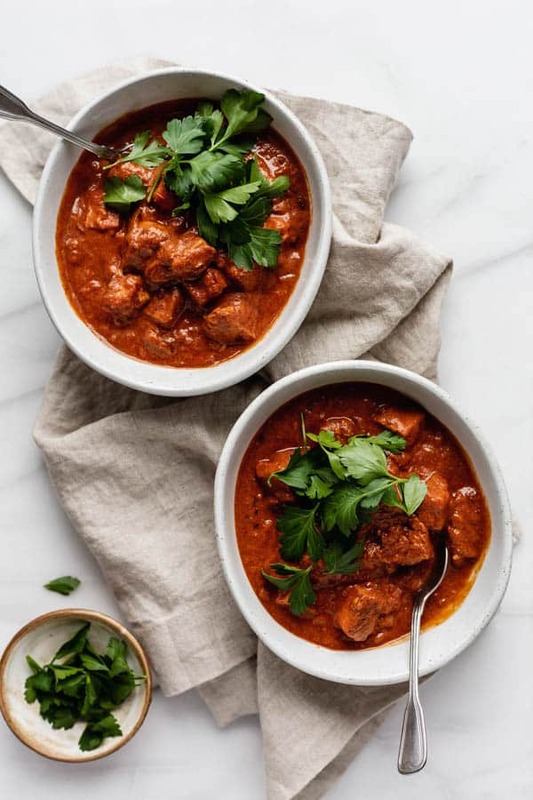 I have a tikka masala recipe on my blog but yours looks WAY more tasty. I’ll probably modify mine in the near future and make improvements on the curry sauce! 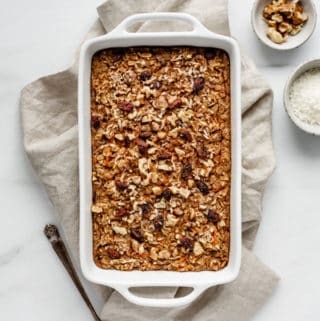 But your recipe looks like a winner–it looks splendid! Made this a few nights ago and have been having it for lunches ever since! SO GOOD! Will definitely be in the rotation! 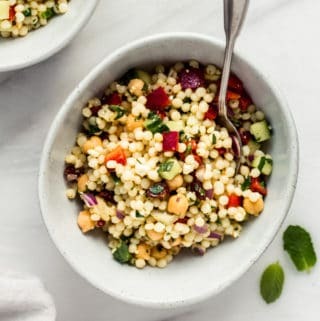 This sounds delicious, I hope it try it this week or next! Would it be freezable? It would be great to have a batch if there’s some left. Many thanks!